Goblins Animated has brought together one of the most talented and diverse casts ever assembled. Their voices have populated American Television, Film and Video Games for a generation, and have amused, delighted and brought incredible emotion to some of the most iconic animated projects of the last 30 years. From Futurama, Pinky and the Brain, Powerpuff Girls, Ren and Stimpy, Star Wars: Clone Wars and Samurai Jack, to The Simpsons, Cowboy Bebop, My Little Pony, Mass Effect, Avatar the Last Airbender, Winnie the Pooh, GI Joe and Transformers, the Goblins Animated cast have been the defining voices for millions of childhoods across the globe. Tarol Hunt first tried to place his comics on the internet as a child in the 80’s. Discovering that this would be an almost impossible task until the internet was invented, he tried again in 2005 with much greater success. As a child, Tarol drew scores of comics, mostly involving Dungeons & Dragons. He was inspired by other comics like Elfquest, Heavy Metal Magazine and Dragon Magazine (well you know, the back of Dragon Magazine… where the comics were). A Los Angeles native, Phil is an alumnus of Yale University and The Groundlings Theater. He is best known as one of the original cast members of Mad TV and as "Marvin" in Pulp Fiction. In addition to numerous appearances in films like Jason Reitman's Men, Women & Children, Step Brothers, Free Enterprise and Real Steel, and TV shows such as NYPD Blue, Curb Your Enthusiasm, Raising Hope and Castle; Phil is also known for his extensive voice-over work, which includes regular roles on the animated series Futurama, Samurai Jack, and Justice League, recurring roles on Ultimate Spider-Man, Young Justice and Star Wars: Rebels and video games including Shadow of Mordor, Metal Gear Solid 2 & 4, Mercenaries, Darksiders, Infamous, Dead Island, Injustice: Gods Among Us and Mortal Kombat X. Currently, Phil is appearing on HBO’s Veep, Epix's Get Shorty, Family Guy, Netflix's Kulipari, Nickelodeon’s Bunsen Is A Beast, and starring in Tyler The Creator's upcoming animated series, The Jellies for Adult Swim. Without Danielle Stephens, there would be no Goblins. As the other half of the husband and wife team, Danielle has edited and managed the comic since 2005. She is the all-purpose cookie-baker and Production Coordinator for the Goblins Animated project. When not juggling goblin-related paperwork, she writes the Hyper Halfling line of role-playing game supplements. She's also a rather good french horn player. Matt Yang King is the winner of the CAPE/Hollywood Foreign Press Young Screenwriters Award and the creator, writer and director of The World of Steam; a Twilight Zone-like seasonal anthology series set in a Steampunk universe. Born in New York City, Matt began playing violin at the age of 5 and started studying Aikido at age 8, twin disciplines that would lead to a lifelong love of music and martial arts. His love of performance and acting would ultimately lead him to NYU's Tisch School of the Arts. Matt has appeared on numerous TV shows, as a series regular on the shows Washington Field and GI Joe: Renegades, and has appeared on everything from Friends to Bones, Frasier to 24. 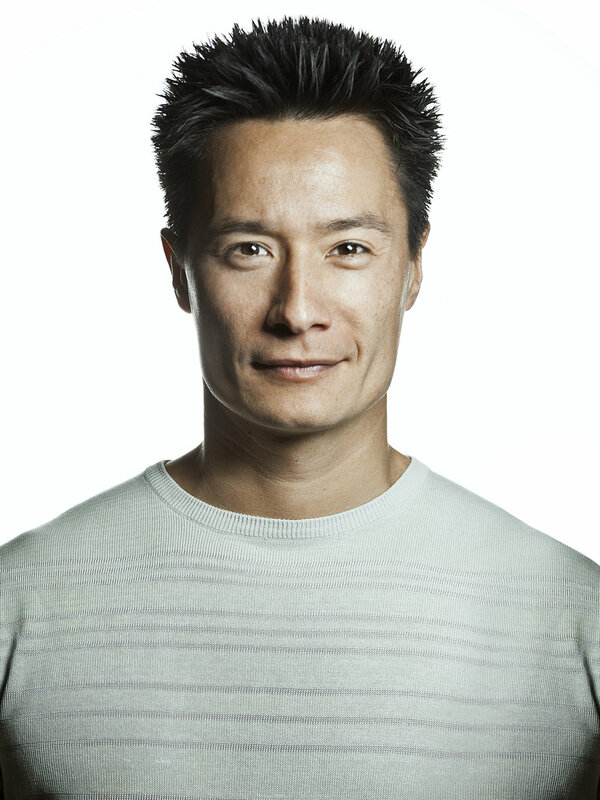 He is most noted for his long running roles on Strong Medicine as Dr. Matt Lin, and on Numb3rs as Agent Matt Li. Matt is also widely known for voice work in many movies, television shows, and video games. Currently he can be seen on CBS's CODE: Black and FOX's Lucifer and heard on Studio Ghibli's Only Yesterday, and the hit games Agents of Mayhem and Injustice 2. Matt lives and works in Los Angeles with his wife and three children.